Without a doubt, Berlin is a very Muslim-friendly European city. In this beautiful destination, you can meet many Muslims and find Halal food easily during your holiday in Germany. 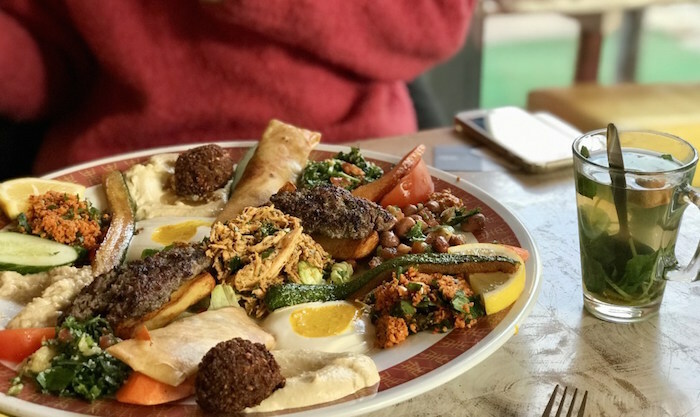 In this article, we have compiled 7 must-try Halal restaurants in Berlin for Muslim travellers. They make a nice spot for breakfast, lunch, and dinner! 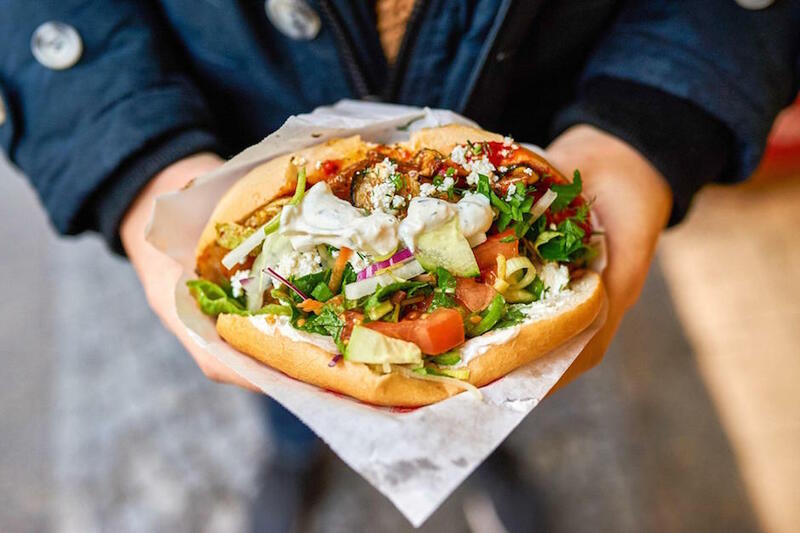 7 Halal restaurants in Berlin, Germany, for you to try! One of the top Halal restaurants in Berlin that you can try is Yarok Fine Restaurant. It is a great Halal eatery in Berlin that serves fresh and delicious Syrian food. They come in a very big portion at an affordable price! For about €8, you can enjoy a big mixed plate. Plus, it is located near to many attractions and museums in the city – ideal if you’d like to have a lunch break in between your travel schedule. 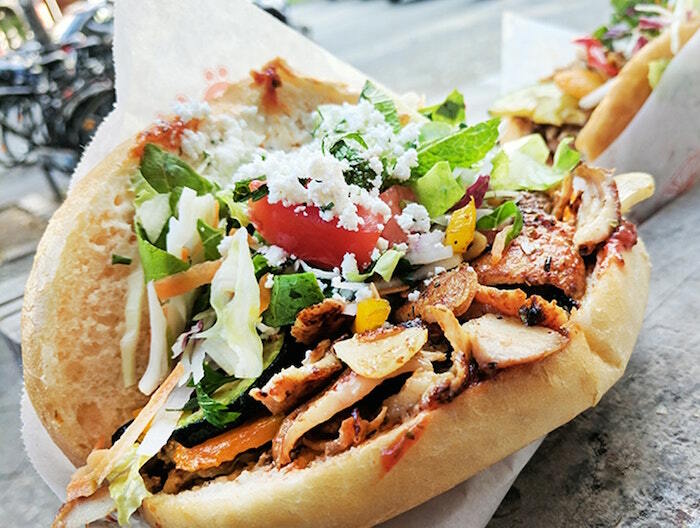 Do you know where to get the best kebab in Berlin? It has got to be at Mustafa Gemuse Kebab! It is a Halal Turkish stall that serves freshly made kebabs. Many previous customers have attested that their kebabs are very juicy and come with a tasty homemade sauce and vegetables. It is one of the hot spots in Berlin that is always frequented by both locals and tourists alike – so you must not miss trying it! Are you craving for some scrumptious Halal Moroccan food while having a family holiday in Berlin, Germany? Then, you should stop by at the Baraka Restaurant. It is one of the top Halal restaurants in Berlin that you must try. Here, you can order their delicious chicken tagine and the refreshing Moroccan mint tea. We suggest you try their mixed plate so that you can get a taste of every little thing! Take a break from your hectic tour schedule and enjoy a flavorful meal at this Halal Asian restaurant – Tuk Tuk Indonesian Restaurant. 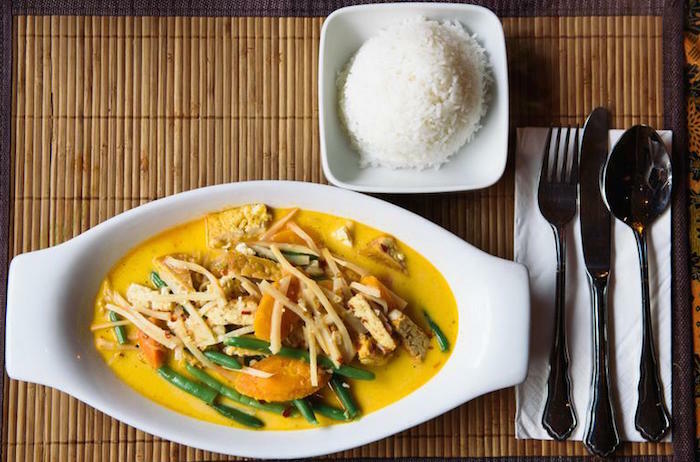 It is the best place to enjoy authentic Indonesian cuisines while in Berlin. When you are at Tuk Tuk, you must try their stomach-filling fried rice, Nasi Padang, and chicken satay! Plus, you will enjoy the nice and cozy ambiance while dining at this restaurant. 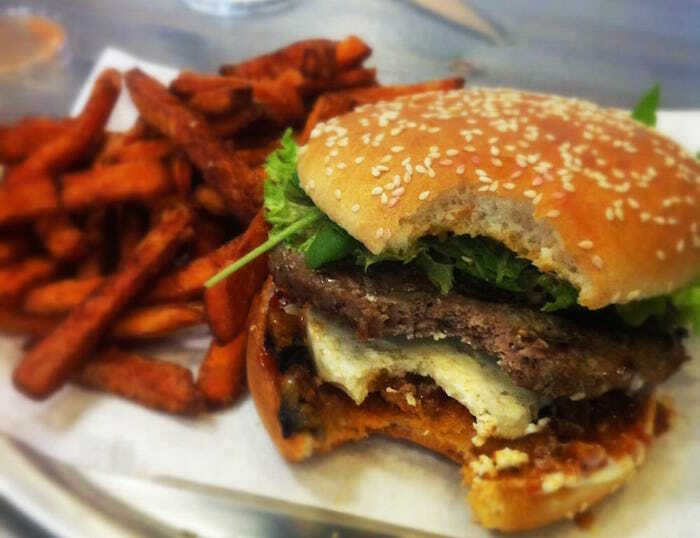 BurgerZone is also one of the must-try Halal restaurants in Berlin that you can stop by for lunch or dinner. Here, you should try their fresh and juicy hamburger – the burger patty is bursting with flavors! Plus, it is very cheap. For about €8, you will get two huge and tasty burgers, a big amount of fries, and soda drinks. Nice, eh? 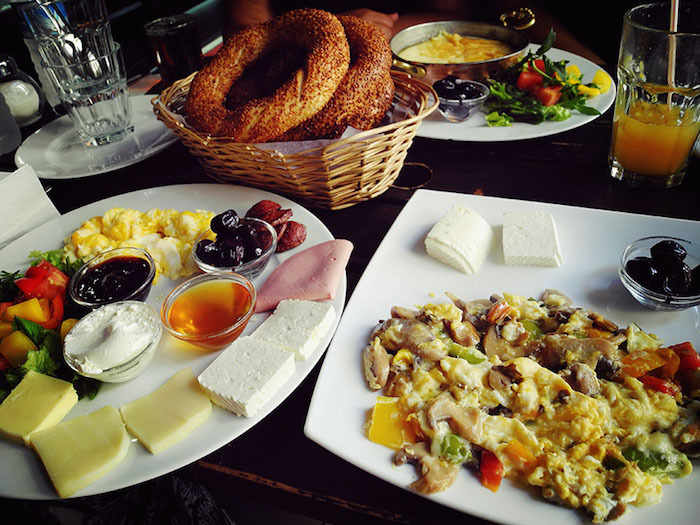 If you’d like to skip your breakfast buffet at your hotel and enjoy a good Turkish breakfast instead, then you should try La Femme Restaurant. It is, indeed, one of the best Halal restaurants in Berlin for breakfast! Simit, Boreks, Tostis (Turkish grilled cheese), and Turkish coffee are some of the best menus in this restaurant. Besides enjoying the delicious breakfast (or brunch! ), we bet you will also enjoy the lovely ambiance at this place – definitely a must-try! When you are having a Halal vacation with your family or friends in Berlin, we suggest you to try having a meal at Huhnerhaus 36 Restaurant. This is the best place in town to get a tender and juicy whole or half grilled chicken! The restaurant is quite family-friendly. The service is quick and the portion is also big. 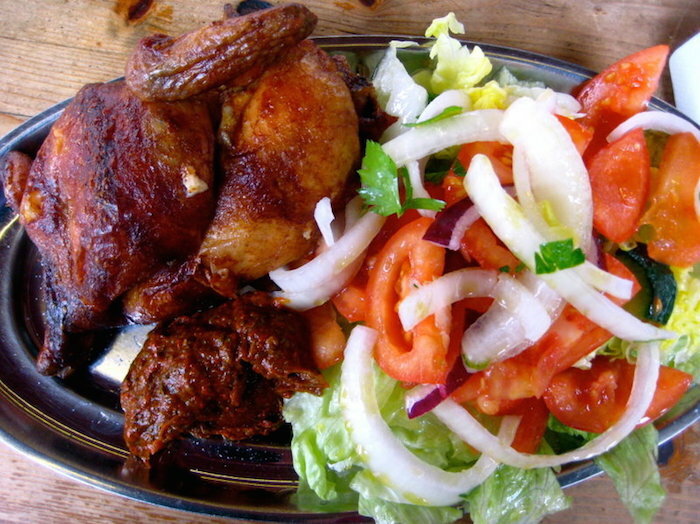 At only €6.90, you can enjoy a delicious half grilled chicken, chips, and salad. If the locals love it, we think you will love it too! Finding Halal restaurants in Berlin is not that difficult! As you can see, there are plenty of Halal eateries in the city of Berlin that you can explore during your Halal holiday in Germany. 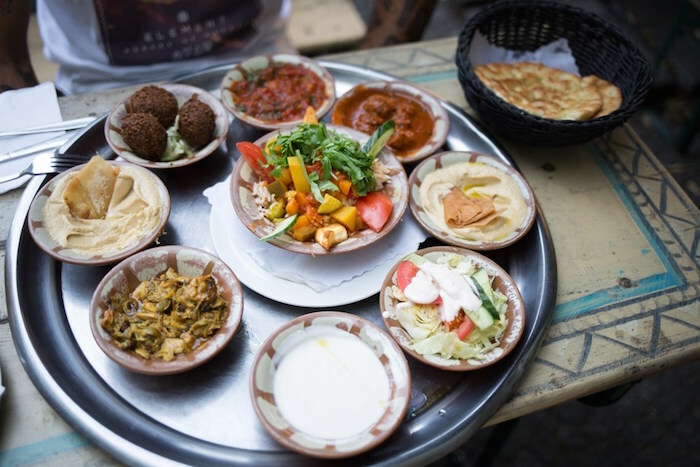 Consider one of the top Halal restaurants in Berlin above and enjoy a hearty meal!